It’s not at all unusual for Langhorne to be involved in major historic restoration projects. As a circa 1930 business—and one of two remaining Wilton Jacquard mills in the U.S.—our mill and team are simply able to design and weave floor traditional wool coverings in ways other manufacturers cannot. 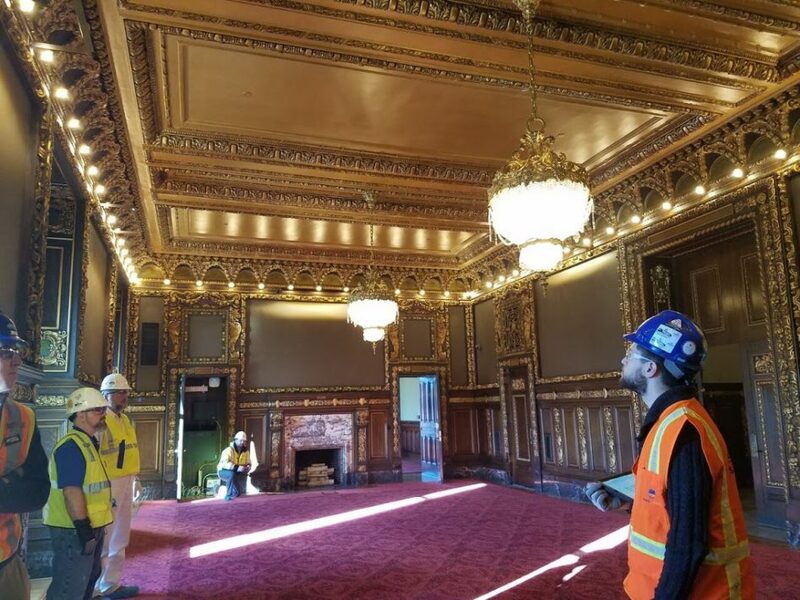 But what is unusual is for us to be a part of something as big as the Minnesota State Capitol Restoration Project. 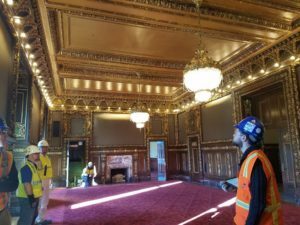 The multi-year, $309.674 million undertaking has restored one of the country’s grandest state houses to its turn-of-the-century glory—modernizing while burnishing, leaving history unscathed. 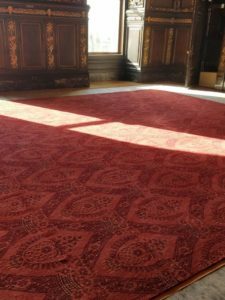 We were honored to accept the job of re-creating a carpet for the elegant and gilded Governor’s Reception Room, a space the state’s highest official uses for speeches and formal gatherings. That was in 2002. In 2017, the state house reopened for business. Sandbulte and her team predict the restoration will endure heartily into the next century. We tend to agree.